Sometimes it's just not worth the trouble any more. 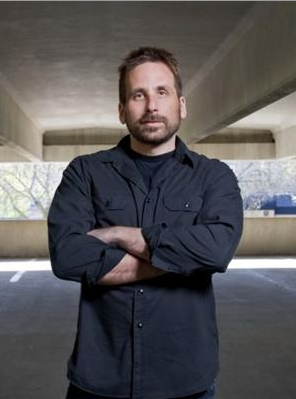 "There are guys who I respect and like who walked away from the space because it's just not worth the trouble any more," says Ken Levine in a Eurogamer interview. "Especially if you've got families and got lives." The Phil Fish debacle is on Levine's mind right now, along with the death threats sent to Call of Duty developer David Vonderhaar over a recent Black Ops 2 patch. "This is why the world often does not take gaming seriously," said Activision community manager Dan Amrich at the time, "this is why gamers are assumed to be immature, whiny assholes." But Levine goes to the heart of the problem: online abuse hurts gamers, in the long run. It forces developers to walk away from gaming, and puts unreasonable pressure on the remainder, by beating them into submission and disenfranchising them. "The amount of pressure," says Levine. "I'm used to the pressure, but there may be a guy who's not like me, who doesn't have the experience, who will give into that pressure and release something that's not as good." Why get up in the morning and go to work, Levine argues, when you know full well you're only going to get insulted and abused, or have your family threatened? There are many great fans out there, Levine quickly acknowledges, and he always wants to make sure that the product he delivers is what those gamers really will enjoy. But sometimes, he knows, the pressure can get to developers, and that's where the problems start. It's not as if Levine's going anywhere; he's happy doing what he's doing, and loves his job. But it took him a long time to get to that point. "Everybody's entitled to do what they want to do," he says, "but just like the developer at some point is entitled to say, you know what? It just isn't worth it for me any more." Then gaming loses another creative, and the industry as a whole is the poorer for it.